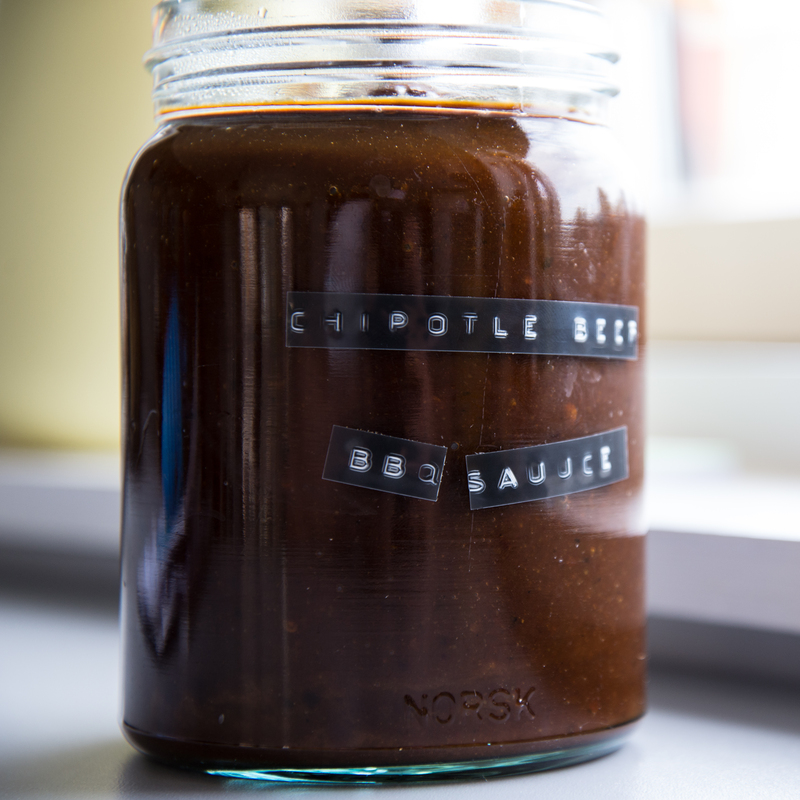 Came up with a new BBQ sauce today. The plan is to use it for beef short ribs, so that’s what I thought about when coming up with the flavour profile for it. 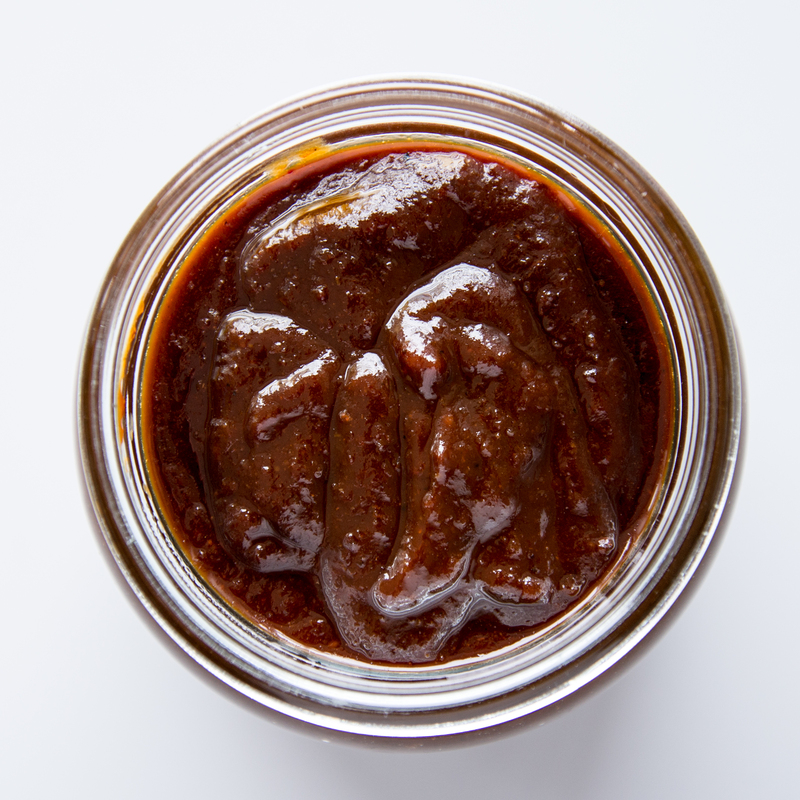 It’s slightly sweet, very tangy, and as spicy as you want to make it. I ordered some delicious dried Chipotles from iHerb. They’re kinda hard to come by in Norway. If you can get them locally where you live, consider yourself lucky. Here’s what I did. First thing you want to do is heat up some oil in a saucepan. Then add finely chopped onions, garlic, fresh chillies, and the chipotle peppers. Let them caramelize on low for about 15 minutes, then add the other dried spices and cook another 5 minutes. Now you can add the A1, the vinegar, the ketchup, and the sugar. 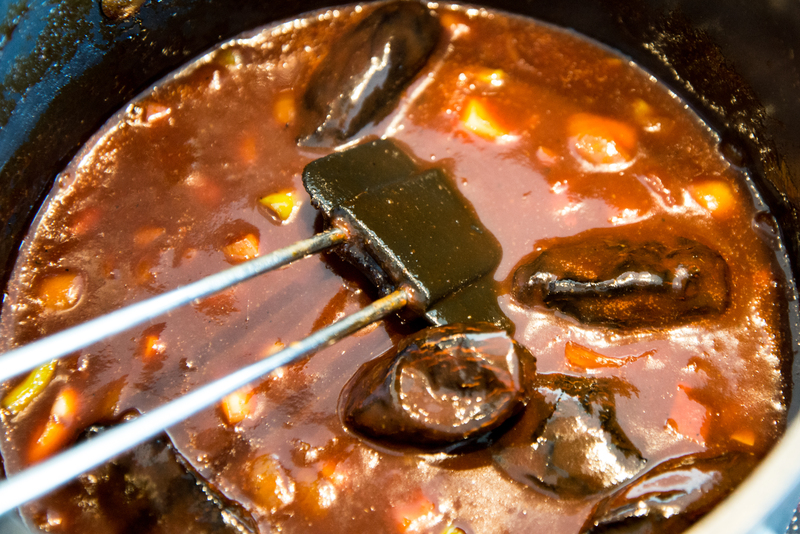 let it simmer until you get the desired thickness, and remember the sugar will make it thicker when it’s cold, so if you plan to primarily serve it cold, you should consider that. Once it reaches it desired thickness, it is time to blend. The cool thing here is you can take out one or more whole chipotles, blend, taste and see how spicy it is. If it’s not hot enough for you, add inn chipotle(s) and blend again until it’s just right for you. How cool is that! ?